Albert Carrillo, a 28-year-old Latino, was fatally shot on Friday, Feb. 15, in the 3000 block of East Gage Avenue in Huntington Park, according to Los Angeles County coroner's records. Carrillo was a front-seat passenger in a pickup with two other friends around 3:30 p.m. when they drove into a parking lot for the Palomino Market, just west of State Street, said Huntington Park police Lt. Patrick Kraut. "When they drove into the parking lot, they immediately encountered rival gang members," Kraut said, and Carrillo was shot. His friends drove him to a nearby hospital, before he was transferred to Los Angeles County/USC Medical Center, Kraut said. Carrillo was pronounced dead at 5:51 p.m., according to coroner's records. The cause of death was listed as a gunshot wound to the chest. 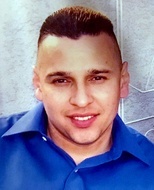 Fernando Hernandez, a 34-year-old Latino, was shot and killed Monday, April 30, in the 3400 block of Grand Avenue in Huntington Park, according to coroner’s records. Huntington Park Police officers were called to Hernandez’s home about 1:19 p.m. regarding a gunshot victim, Los Angeles County Sheriff’s Lt. Rodney Moore said. Investigators learned there had been a “disturbance” between Hernandez and his cousin, Daniel Plascenia, 28, outside the house, “and during the course of the disturbance, the suspect shot the victim,” Moore said. Hernandez was taken to a nearby hospital, where he was pronounced dead at 1:51 p.m., according to coroner’s records. Rigoberto Gonzalez Huerta, a 52-year-old Latino male, died Sunday, Dec. 17, in Huntington Park, according to Los Angeles County coroner's records. Javier Francisco Parera, a 41-year-old Latino male, died Friday, Dec. 15, after being shot in Huntington Park, according to Los Angeles County coroner's records. Yancy Dayanara Alachan-Cruz, a 42-year-old Latina, died on Sunday, April 2, after being shot in the 6300 block of Pacific Boulevard in Huntington Park, according to Los Angeles County coroner’s records. That Saturday night, Alachan-Cruz had been at the Margarita Jones nightclub at 6341 Pacific Blvd., according to Los Angeles County Sheriff’s Lt. Steve Jauch. She left the club in a car with three Latino friends at about 2 a.m. Sunday, heading north on Pacific. They stopped at a red light at Clarendon Avenue, and a dark-colored vehicle pulled up on the right side of their car, beside Alachan-Cruz in the front passenger seat, Jauch said. Rita Quintana, a 77-year-old Latina, was fatally stabbed Thursday, April 21, in the 2900 block of East 60th Place, in Huntington Park, according to the Los Angeles County coroner’s office. About 11 p.m., Tomas Quintana, 84, called 911 after a struggle with his wife, saying he was not sure if his wife was still alive, according to a news release. When Huntington Park police arrived, officers found a knife and Tomas Quintana, who was covered with blood, the release said. Rita Quintana was pronounced dead at the scene at 11:15 p.m., according to coroner’s records. Tomas Quintana was initially arrested on suspicion of murder, but six days later he was released after prosecutors requested more information before filing charges, according to a spokeswoman. Daniel Ivan Ramirez, a 31-year-old Latino, was shot and killed Thursday, March 5, in the 6700 block of Miles Avenue in Huntington Park, according to Los Angeles County coroner’s records. Shortly after 10:30 p.m., Ramirez got into an argument with three acquaintances, according to the Los Angeles County district attorney’s office. Ramirez wanted to borrow a handgun from one of the other men, said Lt. Cosme Lozano with the Huntington Park Police Department. One of the men, later identified as Jorge Godoy, a 22-year-old Latino, refused, and allegedly shot Ramirez. Ramirez was pronounced dead at the scene at 10:47 p.m., according to the coroner’s office. Gody was arrested on suspicion of murder later that day. 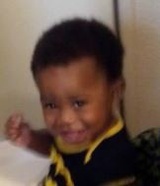 Majesty Lyles, a 1-year-old black male, died Friday, Feb. 27, after sustaining blunt force trauma in Huntington Park, according to Los Angeles County coroner's records. Oscar Manuel Perez, a 28-year-old Latino male, died Friday, Nov. 14, after being stabbed in Huntington Park, according to Los Angeles County coroner's records.